At Bianco Family Chiropractic, we understand that, today, competing as an athlete is tougher than ever. Whether it's the grid iron or the golf course, little league or a master's championship, even minor improvements in performance can make a huge difference. BFC is at the forefront of chiropractic sports medicine, and an excellent collaborative resource for coaches and trainers. We help our patients train more effectively, prevent injuries, and reduce recovery time. During the course of a football season, chiropractors give up to 16,320 - 27,200 adjustments to pro players. 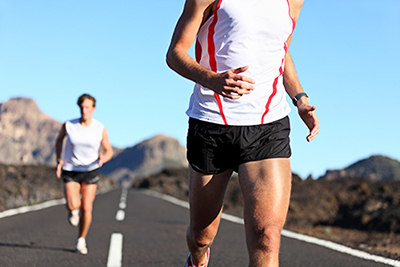 In one study, 100% of runners with joint problems reported reduced symptoms and were able to maintain or increase their training mileage after receiving chiropractic care. Regular chiropractic care helps basketball players boost their speed, flexibility, range of mothion, balance, and strength. Soccer players found relief from chronic groin pain after only eight weeks of chiropractic care and rehabilitation exercises. National-level judo athletes developed a16% stronger grip after just three chiropractic sessions. Regular chiropractic adjustments help baseball players significantly improve their long jump distance and increase muscle strength. Chiropractic care reduces painful symptoms of recurrent shoulder instability due to hockey injuries 80% of hockey related injuries can be managed with four or less treatments. For the 50% of tennis players who get tennis elbow, chiropractic joint manipulations help ease discomfort. Whether you need a little advice on performance issues or treatment for a sport-related injury, any type of athlete will find that our sports chiropractic care to be an important part of keeping their body in peak condition.